Home Moto Uccio, Rossi's advisor: "Lorenzo will reach the level of Márquez"
Uccio, Rossi's advisor: "Lorenzo will reach the level of Márquez"
The person in charge of the Academy thinks about the pair of the Repsol Honda and thinks that the Balearic will be at the height of the new mount and also, of his companion. The arrival of Jorge Lorenzo to the garage of the Repsol Honda has become one of the main topics of opinion within the atmosphere that surrounds the World Cup. Since announcing his signing, duo that would form together with Marc Márquez has given much to talk and the last to pronounce on the matter has been Uccio, the best friend of Valentino Rossi on the circuits and also, out of them. The Italian has spoken for the network 'Sky Sports' about how the relationship between the Spaniards will be during the stage they will share within the Japanese team, and confies in the potential of Lorenzo with a motorcycle that "adapts more" to what he needs to keep winning. The level that Márquez has imposed during the last seasons with the Honda, makes many believe that reaching up to the height of the ilerdense is something unreachable. 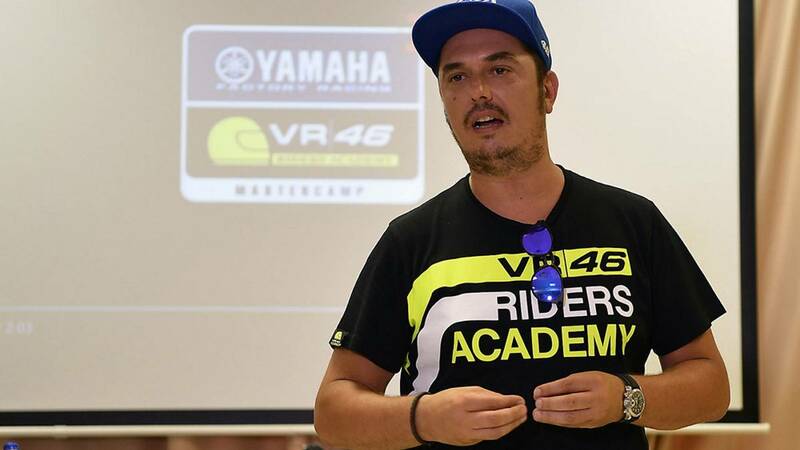 However, having a driver like Lorenzo on the other side of the garage, the manager of the Academy is convinced that the Spaniard is capable of everything: "Lorenzo is a very strong driver, we have seen him with a motorcycle like the Ducati, which presented I know Jorge very well and with the Honda he will reach the level of Márquez ". On the track, Uccio believes that will come the friction," but they are two professional pilots, surely they will know how to solve it ". For Jorge, "impossible is just a word that weak men use" and based on a hammer, he will try to impose his strength in a 2019 that is about to start rolling.